Where in the world was NKU this summer? Irakoze Dieudone already had trouble calling himself an American. 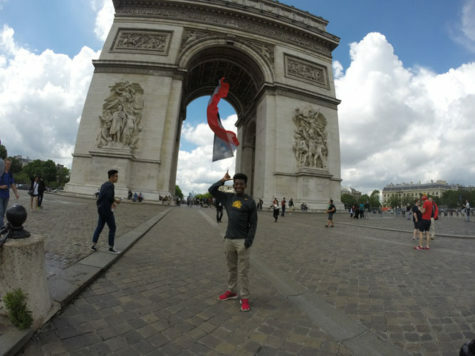 Originally from the Dominican Republic, the 20-year-old grew up in a Tanzanian Refugee camp, where he was taught to speak French. 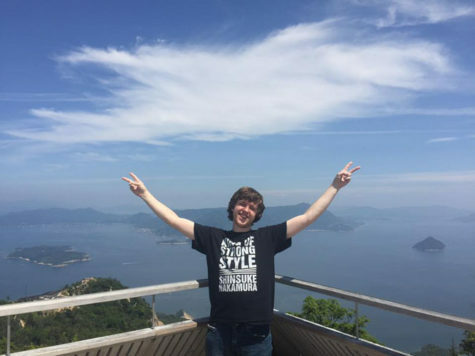 The now junior at NKU, recalls his study abroad experience as a time when he truly questioned his identity. 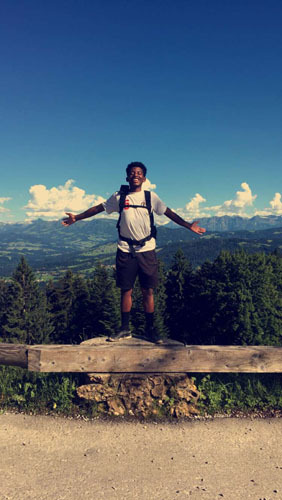 Irakoze Dieudone visited Vienna and Milan, Italy, Munich, Germany, Paris, France and Switzerland while studying abroad this summer. This wasn’t the only encounter he had with people approaching him differently because of the color of his skin. It seemed wherever he went during his trip, questions of who he is as a person followed him. 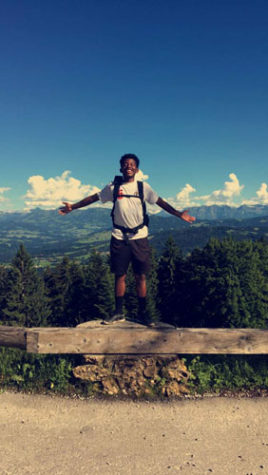 Experiencing cultural and societal differences are a part of studying abroad — and more than ever, NKU students are willing to accept the challenges. 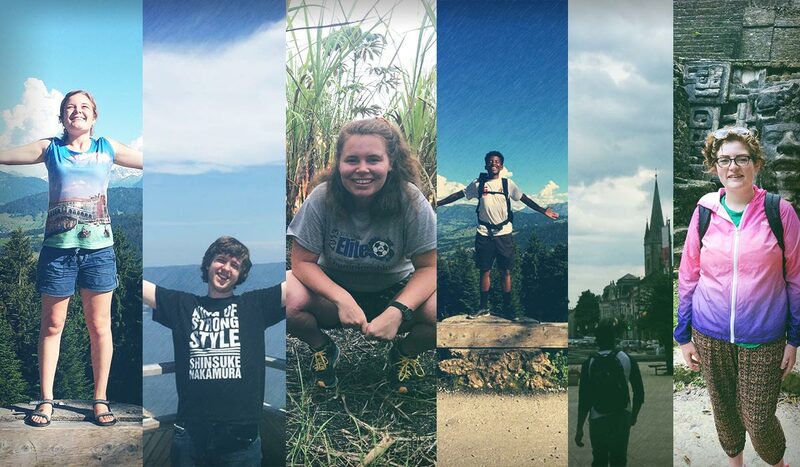 Dozens of students studied abroad this summer through NKU’s International Study Abroad Office. From Canada to Japan, students had their choice of 25 temporary places to call homes. The office has expanded to serving over 300 students a year, and departments across campus — including psychology, informatics, electronic media broadcasting, theater and business — are integrating the study abroad experience into the course load. Francis LeRoy, director of the International Studies Office, said students should not view studying abroad as unobtainable. 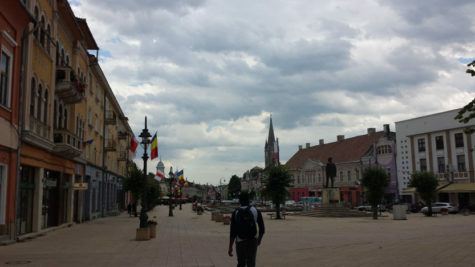 Michelle Melish, assistant director of Education Abroad, agreed that the experience is worth considering. “There is a scholarship for everyone. There is always something that every student can be applicable for. Just by going out and looking at different ones you’ll find a million ways to make it affordable,” said Melish said. LeRoy said studying abroad is the next step to enhance higher education. No longer is studying abroad an opportunity for a select few but an option that is continually growing. NKU continues to collaborate with universities around the world, making this experience one step closer to becoming the norm. “I have always loved NKU,” LeRoy said. 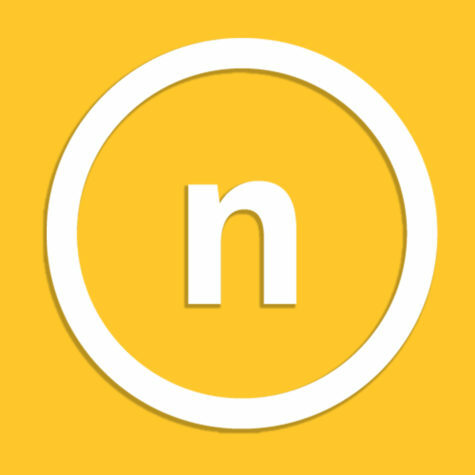 “We offer an outstanding side of services to students who deserve it. There are schools who have large numbers of student studying abroad, and we aren’t one of them, but we are a school where a lot of students may be the first in their families to go to college — let alone study abroad. Finish reading Dieudone’s story by clicking here, and check out where in the world NKU has gone with the map below. He received a private scholarship, International Studies Scholarship and a KIIS grant. 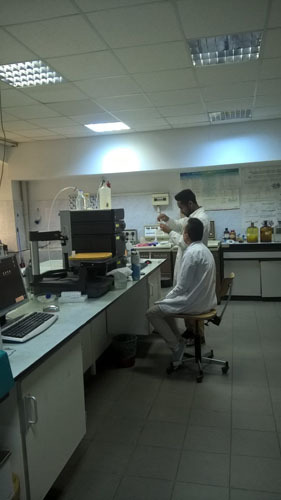 Beyond the financial assistance, hard work made his goal doable. Dieudone visited Vienna and Milan, Italy, Munich, Germany, Paris, France and Switzerland over the course of his stay in Europe. While visiting Austria, Dieudone and classmates were given the opportunity to meet businessmen, who gave the class a walk through of the real estate process. For his other course, Dieudone spent most of the time in each city observing adolescent behaviors. Although he encountered challenges with his nationality and race, Dieudone is grateful his experience abroad expanded his perspective. “As a person this opened my world,” Dieudone said. “There is more to life and this world we are all a part of. Everything has a specific history and culture and it’s all so beautiful and breathtaking. 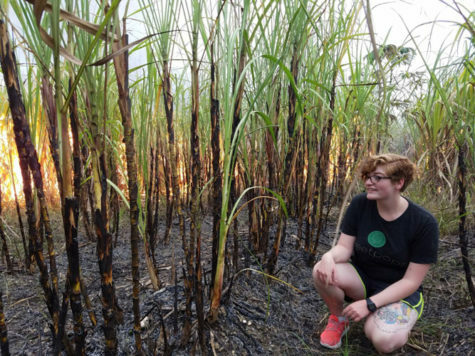 Despite a language barrier, NKU anthropology students spent time at a sugarcane mill in and within the communities of Belize conducting interviews for their personal research projects. 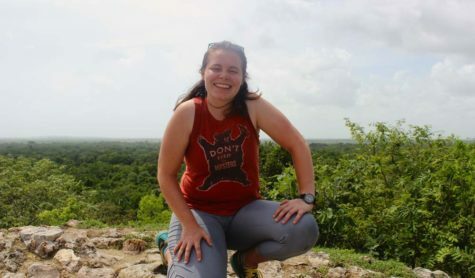 Emily Fox and Bronte Murrell, both senior anthropology majors, spent a month in Orange Walk Town, Belize studying in the Ethnographic Field School. They conducted anthropologic research with nine American students and one Belizean. 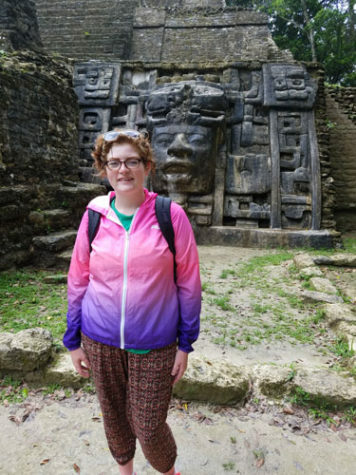 Emily Fox, a senior anthropology major, studied in Belize for a month over the summer. Fox said the experience helped her gain a newfound appreciation for meeting new people. “My hands down favorite part was meeting everyone,” Fox said. “We would go from door to door to interview natives but one elderly man continues to stick out in my memory. He was so eager to invite me in and open up his life. Murrell said the trip gave her a deeper understanding and respect for the Belizean culture. Senior anthropology major Bronte Murrell studied in Belize this summer. Murrell said while she learned to appreciate the culture, the language barrier was a difficult challenge to overcome. “Having to reach out to someone who speaks a language I don’t know was something I found tough to get around,” Murrell said. “I can’t say I ‘got around it’ you just learn to make things work. Going up to practice my interviewing skills became frustrating at times, but being willing to put yourself out there is important. Learning outside of yourself and everything you know changes perspectives”. Both students received the International Study Abroad Scholarship and the CCSA Storyteller Scholarship, a scholarship proposing a project for each student to complete over their travels. The trip came out to cost around $4,350 for each student, including lodging, meals, transportation, tuition fees and spending money. Each student chose something that could be beneficial to them even when their travels were over. Fox created a photo blog showing the Belizean culture and her own growth as a student through photographs over the month of her stay. 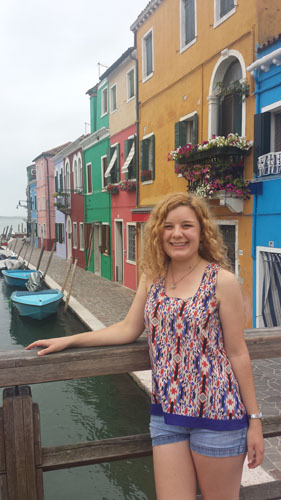 For Murrell, creating a story blog was one highlight of her trip. Murrell was able to express challenges and goals while being abroad while showing her personal thoughts through storytelling. Fox said planning for the trip is not easy, but even the initial financial headache is all worth it. 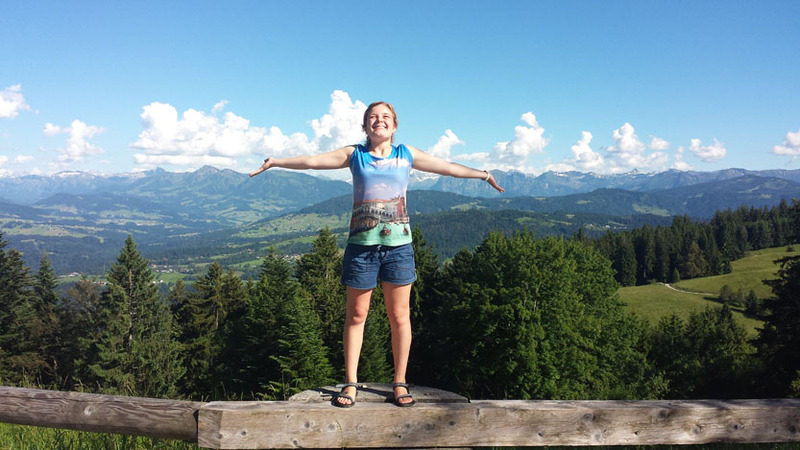 Murrell agreed that her study abroad experience helped her appreciate things in ways she never had before. Connor Sullivan has a second family over 6,000 miles away. 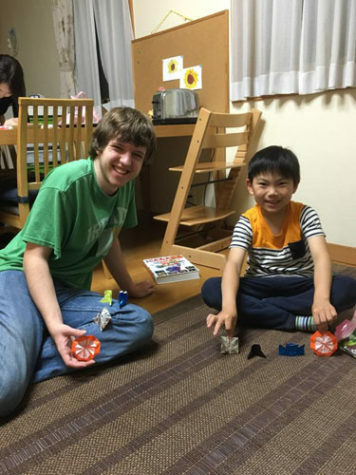 While studyin g abroad in Japan this summer, the senior computer information technology major lived with a host family in Nara. He said it was obvious that the family is a sacred part of Japanese culture. He studied Japanese culture and women in Japanese literature during his time abroad. He also traveled to Nara, Tokyo, Hiroshima and Kyoto. He received the International Study Abroad and Leon E. Booth Scholarships to help finance his studies in Japan. His trip cost about $6,000, including meals, plane tickets, transportation, attraction admission and lodging. 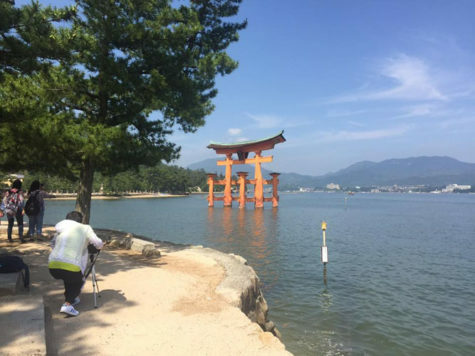 Along with a group of students, Sullivan observed everyday life in Japan, learning social norms and certain expectations. Outside of the class Sullivan visited parks, shrines, arcades, karaoke and a LMC concert. Sullivan noted that shrines in Japan were used for both tourism and religious worship. In the end Sullivan fell more in love with Japan. He wants to go back to study more places and broaden his perspective.